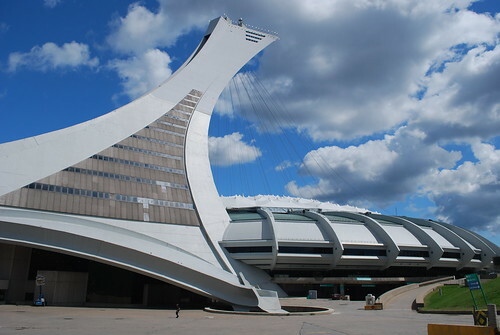 The Montréal Olympic tower, which is part of the Montreal 1976 Olympic Stadium is the tallest purposely built leaning tower of the World. 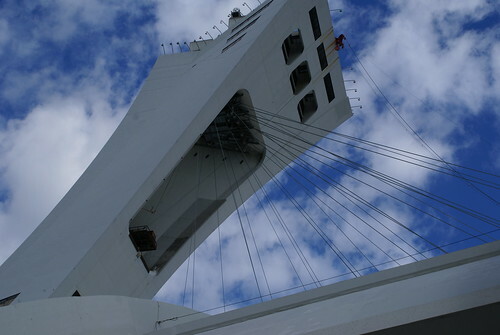 The tower with a height of 175 metres from the ground has an incline of 45 degrees. Compared to this the Leaning Towers of Madrid have a lean of 15 degrees only. 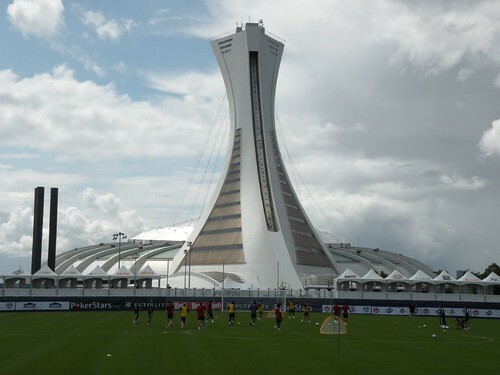 Although part of the stadium complex, it was fully completed 10 years after the Olympics. The top 3 floors of the Tower house an observatory, as well as two reception halls. 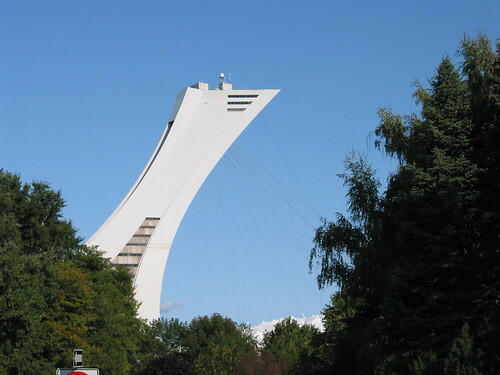 The observatory known as "The Montréal Tower Observatory" is located on the top most floor and provides panoramic view of Montréal and its surroundings. 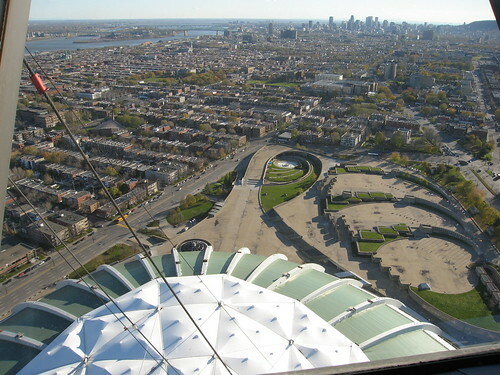 On a clear day, visitors can see up to a distance of 80 kilometres. The access to the Observatory is by a funicular that is also unique. 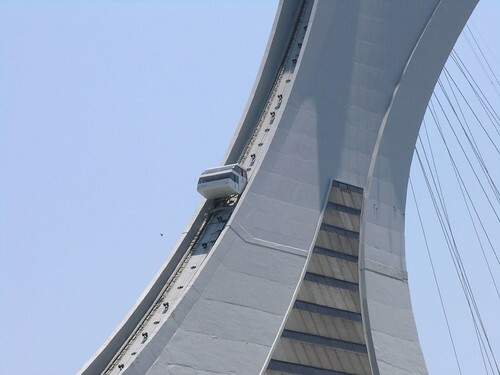 It is the largest funicular in the world and can accommodate about 76 passengers at the same time. The funicular's cabin are provided with large windows to provide a good view of the town during ascent and descent. Further it is also the only one in the world that works on a curbed structure; a hydraulic system which allows the cabin to remain horizontal at all times as it glides up the back of the Tower. 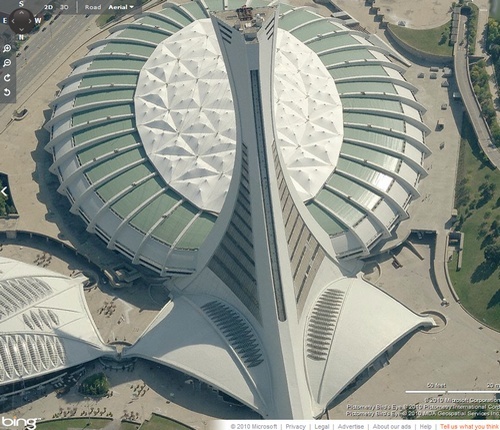 Source of info: Official Page of Olympic Park, Québec government.